Matthew Scott Wade is an Australian Left-handed batsman and wicketkeeper. He was born on 26 December 1987 in Hobart, Tasmania, Australia. He is color blind and even battled testicular cancer and conquered it. Wade played both cricket, in addition to Aussie Rules Football till the age of 19. He participated in the 2006 Under-19 Cricket World Cup as well as vice-captained the Tassie Mariners in the TAC Cup in Aussie Rules. He represented Tasmania in one List A match and then moved to Victoria for the 2007–08 season to try his luck. He soon made his place as Victoria's first-choice keeper, and was thus in 2010, selected in the Australia A side. After Wade moved to Victoria in the 2007–08 season, he established himself as the state's first choice wicket keeper ahead of Adam Crosthwaite. In the 2008–09 season, Wade scored his maiden first-class century. He made a very important contribution to Victoria's win in the 2009–10 during the Sheffield Shield final against Queensland, when he batted at no. 6 with the team at 60 and scored 96 runs for the team. Victoria won the match with whopping 457 runs and Wade was made man of the match. Wade scored 152 in February 2015 for Victoria in the Sheffield Shield which was his highest first-class score. Noticing his performance in domestic limited overs cricket, he was called up to the Australian team in October 2011, for the T20I against South Africa. He made his Test debut on 7th of April against the West Indies at Barbados. He got international limelight in February 2012, as a T20I player in Australia vs India in Sydney, being the opener and scoring 72 runs from 43 balls to get the Man of the Match award. 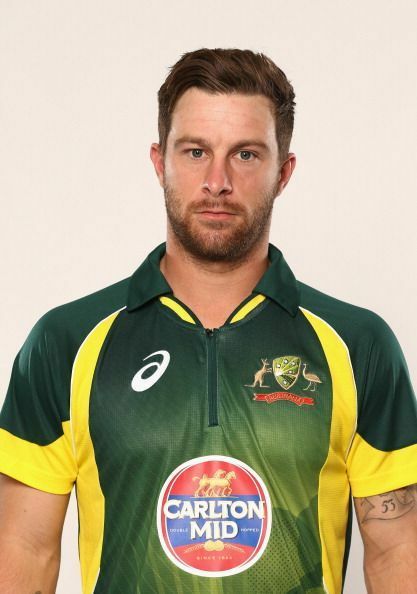 Because of his T20 performance, Wade made it to the Australian ODI team for the 2011–12 Commonwealth Bank Series. He won the Man of the Match award again, that too against India scoring 67 runs off 69 balls at the Melbourne Cricket Ground. Wade was the limited overs wicketkeeper in the Australian team in 2011–12 season during the match against West Indies. Subsequently, he was also made the Test wicketkeeper as Brad Haddin had to return home. His maiden Test century was of 106 in Roseau. Wade was also part of the Test series against South Africa in November 2012. Wade retained his position as ODI wicket-keeper for a small period of time whereas lost his Test position to Brad Haddin for the Ashes series held in 2013. He was finally not selected for the Australian squad for the 2015 Cricket World Cup. Wade scored his maiden ODI century on 13 January 2017 in the first ODI against Pakistan and on 27th of same month he was named as ODI captain of Australia for their series against New Zealand. Is Virat Kohli obligated to be friends with players of the opposing team?